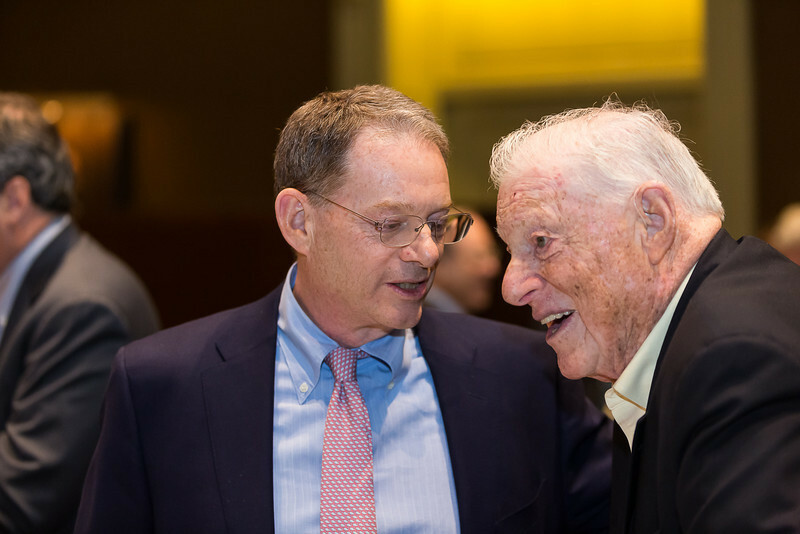 This year’s Robert L. Bernstein International Human Rights Symposium included a special, surprise tribute to Bob Bernstein, for whom the Robert L. Bernstein International Human Rights Fellowships and Bernstein Symposium are named. Yale Law School faculty, former and current Bernstein fellows, colleagues, alumni, and Bernstein family members gathered for the tribute to Bernstein—a man who has devoted his life to the defense of freedom of expression and the protection of victims of injustice and abuse throughout the world. Read more at http://www.law.yale.edu/news/18228.htm. Photographs by Tony Fiorini. The Bernstein Fellowship was established at Yale Law School in 1997 to honor Robert Bernstein as a tireless champion of human rights. Started by Mr. Bernstein’s wife Helen and their three sons, Peter, Tom, and William, the fellowship is supported by Mr. Bernstein’s family, friends, and colleagues and administered by the Orville H. Schell, Jr. Center for International Human Rights at Yale Law School.